Hosted by Steve Bickle on 2015-01-19 is flagged as Clean and is released under a CC-BY-SA license. Tags: Open Source, Robotics, 3D Printing. This show is an interview with Joel Gibbard founder of the OpenHand project. The interview was recorded on my phone which unfortunately created a few glitches. I've cleaned the audio up as best I can. Although frustrating, the occasional glitches have not caused anything to be missed that cannot be inferred from the context of the recording. 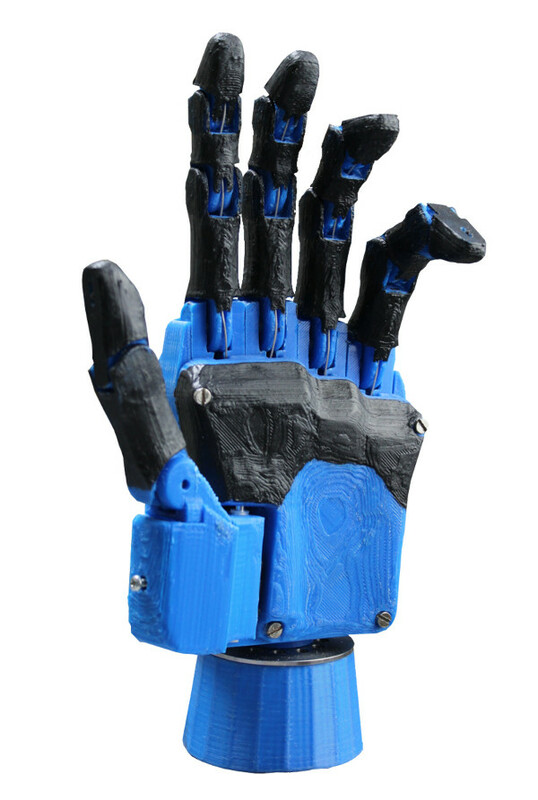 After creating an artificial hand for his degree project Joel Gibbard wanted to continue the work on the hand with the goal of producing a workable prosthetic hand for $1000, so he launched the OpenHand project with a succesful IndieGoGo fundraiser. In this interview we learn more about the Dextrus hand, the project's progress to date, and hear of Joel's vision of affordable prosthetics for amputees worldwide.